- Pad and pant all in one – perfect for those who prefer added security. - Stays securely in place – worn like regular underwear. - Odour Control - reduces the risk of odour for freshness and discretion. - Side-tears for easy removal. 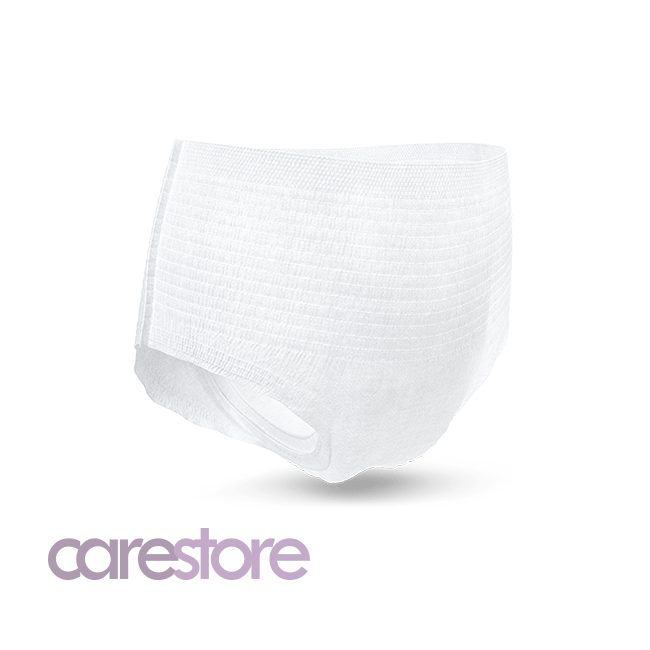 - Superior absorption for excellent leakage security and protection against skin irritation. Available in X-Small or Small - Size chart below. Save 5% when you buy in bulk! Available in X-Small and Small sizes. Superior absorbency for complete protection and security. 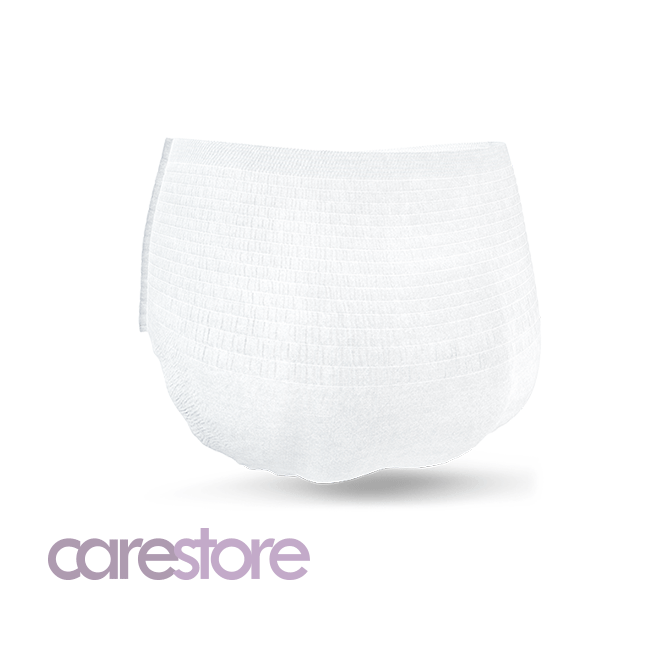 TENA Pants have high-performance leakage barriers for added protection and security, whether the individual is standing, sitting or lying down. 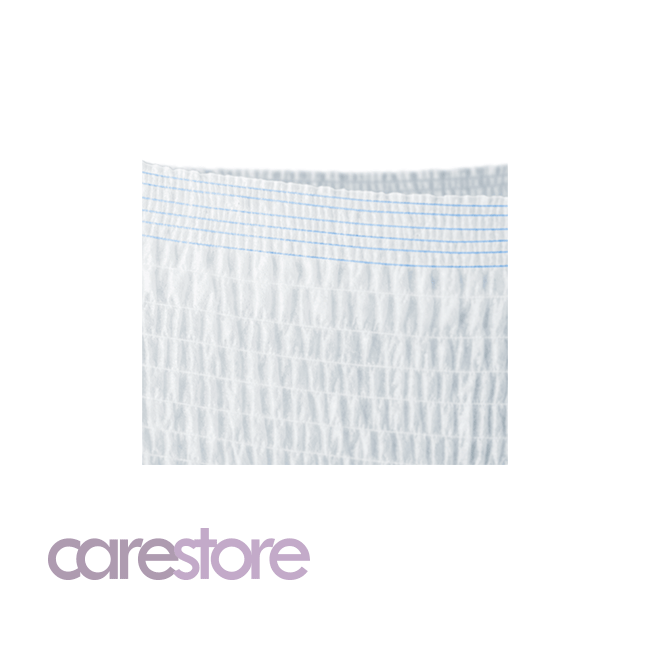 for lasting dryness FeelDry technology rapidly wicks away even large quantities of urine into the product core. The urine remains locked in the core even under pressure, keeping it away from the skin, for enhanced comfort. This is an important first step towards good skin health. TENA pants have a unique odour control system, which neutralises potential odours for complete confidence. Tear-away side seams for easy removal TENA Pants are as easy to pull off as they are to pull on. Just tear open the side seams and pull off the pants. Protecting both the user and a carer. Thanks to the soft side elastic, TENA Pants Maxi follow the contours of the body to provide a snug and secure fit, creating extra protection on the sides. These protectors allow you to move with confidence. TENA Pants Maxi provides a snug body fit for extra high protection, dryness and dignity. Save 5% - buy in bulk! Now available to buy in Case Loads - containing 4 packs.